The table below shows the calorie content of different cooked meats per 100 grams (3.5 oz). It is difficult to accurately determine the calorie content per portion as size differs between individuals and products, therefore the values are displayed for comparison purposes. To accurately measure meat calories for individual portions simply weigh or estimate weight of cooked meat and find its value in table below then multiply that value by your portion weight in percentage. Learn more on how to count calories. The number of calories in meat can be quite high due to the high protein content and often high fat levels. To keep meat calories low only the leanest portions should be purchased, it is also recommended all meats are cooked by roasting, grilling, boiling or using a grilling machine whenever possible. 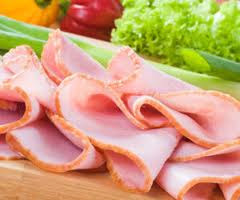 Most red meats are a good source of Iron but require the presence of vitamin C to aid absorption. A meal of meat needed and vegetables such as potatoes should do the trick! Compare calories in meat with vegetables and pasta so you can combine a healthy and low calorie meal! Values for the calories in meats may vary due to different cooking methods! Some values for the calories in meat may differ between each product and should be used for general comparison purposes. I like the way you writing the post.. Thanks for sharing such a nice information.